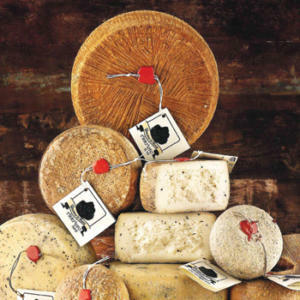 Among the references proposed by Italcaseus have a great role Pecorino cheese. 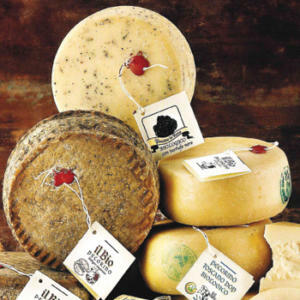 In particular, the PDO Tuscan Pecorino, Pecorino with truffle and Pecorino Organic. Together with Grana Padano and Parmigiano Reggiano cheeses Italcaseus Pecorini compose a selection of excellence that is able to satisfy the most demanding customers in Italy and abroad; a selection that makes a difference thanks to the quality and variety. The Proctected Designation of Origin for the Tuscan Pecorino was created to guarantee the consumer the excellence of row materials and production processes through their link with the territory. All steps of the Tuscan PDO Pecorino production and aging take place only in Tuscany and in some village of Umbria and Lazio, starting with the breeding of sheeps tha are fed mainly with green forage and hay from natural pastures in the area. 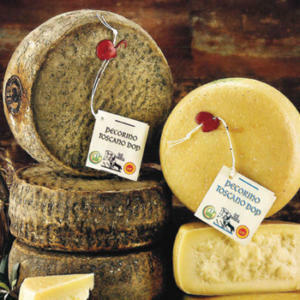 The basic concept of biological pecorino cheese is, happy animals for a better cheese. All of our Bio pecorino cheeses are indeed produced with the milk from sheeps that are bred outdoors and only fed with natural food. Along with bio milk, even other ingredients that might be added to the cheese processing, need to be biological and naturally made. SIZE: Wheels from 1,2kg – 2kg – 2,4kg. Pecorino cheese with a compact texture, fragrant and white, produced according to a special recipe that combines the usual ingredients with the Tuber Aestivum, The resulting cheese is a clever mix where the traditional cheese flavour is combined with that of the black truffle, creating an amazing taste and aroma. SIZE: Wheels from 0,5kg – 1,2kg – 2kg – 5kg. For any additional details, information or trail order please contact Italcaseus at info@italcaseus.it. Italcaseus 2017 Catalogue: the best Italian cheeses and a selection of high quality cold cuts.